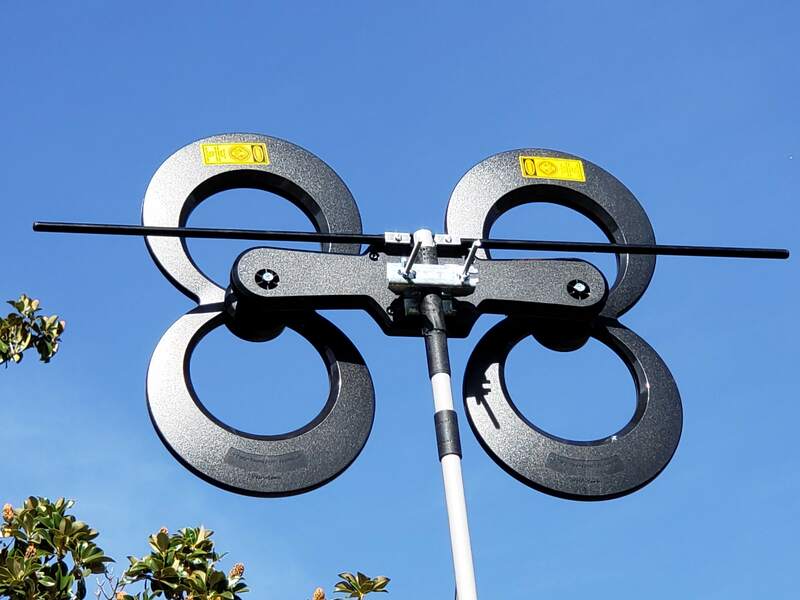 The Antennas Direct Clearstream 4 Max is one of the larger attic/outdoor mount antennas we tested. 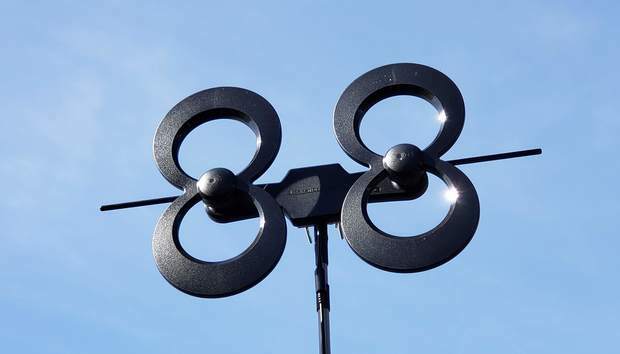 With its unique double figure-eight design, the antenna will do best in areas of strong to medium signal strength. The Clearstream 4 Max is designed to be multi-directional, receiving signals from multiple directions at more or less a similar strength. We found that to be the case. 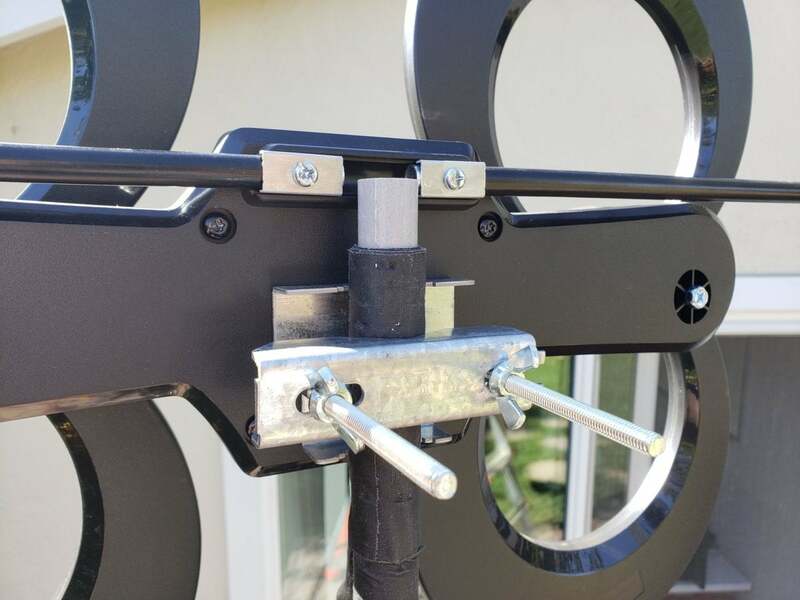 This can be an advantage if you have several local TV transmitters in different directions, but can be a hassle if you live in fringe reception areas where distant signals might be competing on the same channel. Unlike some competing antennas, the Clearstream 4 Max doesn’t come with a built-in signal amplifier. If you live in an area with medium-strength signals, this might be something to consider adding if the results are less than you expected. The Clearstream 4 Max pulled in nine broadcast channels for a total of 36 digital TV stations. There were no stations with a broken signal: It either received at a strong enough level for uninterrupted viewing or it didn’t see the signal at all. Reception was good on both UHF an VHF-High bands, which covers the vast majority of broadcast TV in the U.S. The two main figure-eight elements are for UHF reception; a simple dipole (the long tube at the rear) is for VHF-High reception. Antennas Direct supplies a curved mounting pipe called a J-pole with a bracket to attach to an attic beam, the side of your house, or a flat or pitched roof. Also included are sealing pads, which must be used if you’re screwing the antenna into your roof. The pads will help form a seal and stop rain seeping into your roof through the screw holes. The antenna comes in several large pieces and construction is relatively simple. It only takes about five minutes to have all the pieces together and ready for installation. Like other antennas in its class, it doesn’t come with coaxial cable. You will have to determine the appropriate length and purchase your coax cable at a local electronics store or online. Wingnuts are included for easy installation. The Clearstream 4 Max is a solid, well-built antenna for areas with strong to medium strength TV reception. 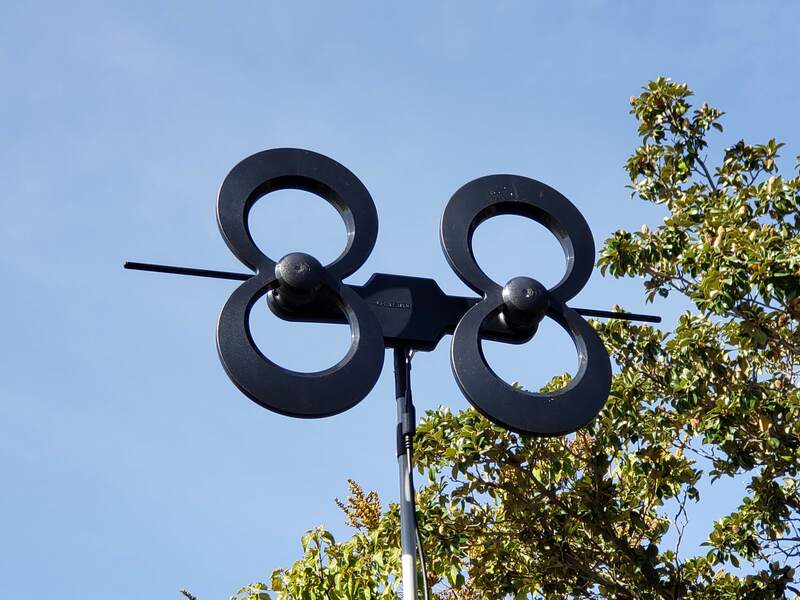 The antenna is sensitive and did well in our tests performing just a little below the Winegard Elite 7550, our favorite antenna of this type. If you’re confident you’re close to a transmitter and enjoy strong to very strong signals, save a bit of money and go for the Clearstream 2 Max.